We are a medical professional led aesthetics clinic providing a wide range of aesthetic treatments in the heart of Chester city centre. Lucy qualified from The University of Liverpool in 2012 with her degree in dental surgery. Since then she has completed examinations in order to gain membership of the faculty of dental surgeons at The Royal College of Surgeons Edinburgh. Lucy’s main area of interest is in injectable aesthetic treatments, including dermal fillers, lip augmentation and botulinum toxin type A injections. 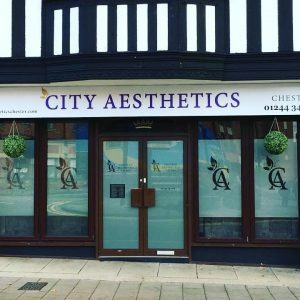 Lucy has worked with leading aesthetic clinicians to gain experience before joining City Aesthetics Chester. Shas completed a wide range of training courses; most recently courses in advanced aesthetic treatments with the world renowned Wigmore medical training academy. 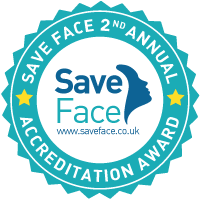 Lucy’s in-depth knowledge of facial anatomy gained from her dental background provide the ideal framework for her to assess and treat your face safely and effectively. Would highly recommend this place! Made me feel so welcome. First time having lip fillers and the results are perfect! Will not be going anywhere else for my lips! Thank you! This has become my new favorite shop! Went for the first time to have 0.8ml lip filler, my eyebrows done and a skin milk peel and dermalux. I feel like a new woman today, my skin feels amazing and I love my eyebrows and lips! The customer service was amazing and everyone made me feel so welcome and all at a fantastic price! Will definitely be returning and can’t recommend them enough. Thank you City Aesthetics. Excellent staff. Modern luxury clean clinic. So happy with my treatments. Thank you. Beautiful tranquil place, gorgeous and friendly staff, an incredible variety of treatments and wonderful care taken when I was being looked after, very attentive I would recommend to anyone. This was my 2nd visit to City Aesthetics, Customer service is exceptional and they make you feel so welcome and at ease. Thank you so much again. Amazing luxury facial thank you so much! Fantastic service and the girls were all so lovely! was a whistle stop visit while i was in chester for a day but i will definitely be returning. Would highly recommend!! All the girls are lovely & I always look forward to going back.